Keep us updated! We want to hear about your progress towards becoming a living donor. Send us an email or call with updates! The prospective donor must have a compatible blood type, and in the case of kidney donation, tissue type, as determined by lab tests of the donor and recipient. The donor candidate is carefully evaluated by lab tests, a physical examination, and a psychosocial examination to ensure that the candidate is healthy enough to donate and that he or she is making an informed decision. The decision about whether to accept the donor is then made by the health care team at the transplant center. First, we recommend speaking to your primary physician, family, friends, and the transplant candidate about your desire to become a living donor. However, the decision to donate is a deeply personal and private one. It should be made in alignment to your own personal values and moral code. Remember: It is important for you to fully understand the risks involved in living donation. Gather as much information as possible from your transplant center and other sources. Your donation should be completely voluntary and free from pressure and guilt. It is illegal to be paid for donation under the National Organ Transplant Act of 1984 (NOTA). Living donors may be able to receive reimbursement for certain expenses related to donation. When you contact the transplant center staff, they will ask questions about your medical history to find out if you have any conditions that would preclude you from donating. Some transplant centers will you send you a health questionnaire for you to fill out before your blood test. The transplant team will answer your medical questions and inform you of possible risks and benefits of living donation. It is important for you to get as much information as possible during this time. If you are still eligible and interested in becoming a donor after the primary contact, the transplant team will begin the full evaluation process. 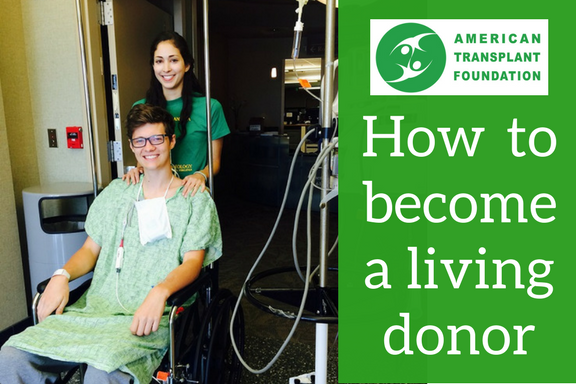 Staff at your transplant center will ask about your financial situation and discuss who can provide physical help and emotional support through the transplant process. You will be asked to fully describe your reasons for considering donation and asked how donating may affect your lifestyle. You will complete a physical examination and extensive medical tests to minimize any risk to your health and safety. The results of your evaluation will be kept confidential. – A financial consultation will be used to determine your financial situation and insurance coverage for the testing process and donation. Generally, if the donation is to a family member or friend, the recipient’s insurance will pay for testing and surgery expenses, but this highly depends on the recipient’s insurance. Be sure to ask the financial counselor and/or social worker at the transplant center for help navigating through these issues. – Medical history review: The transplant staff will ask you to provide thorough information about any previous illnesses, surgeries, and treatments and about your family’s medical history. – Physical examination: You will be given a physical examination to help determine that you are healthy enough to donate. If any abnormalities are found during your exam, they will be investigated. Provide a safe and private environment where emotional support and/or information can be given. Assess the donor’s motivation(s). If the potential donor does not want to donate, the transplant team can help the donor decline in a way that preserves the family relationships. Evaluate if there is any family or external pressure(s) or financial incentive to donate. Give the donor an opportunity to process or express himself/herself more fully than he/she might to the physician or with the recipient or family present. Help the staff work with the donor and family prior to and after surgery. Please note: The time it takes to complete the evaluation process can vary. If you do not live near the transplant candidate, you may be able to complete some tests at a hospital or doctor’s office near your home. You should fully consider how donation may impact your physical and emotional health, as well as family life, financial situation, and current and future health and life insurance status. Living donation involves significant invasive medical procedures. Please make sure you are ready and willing to donate. It is important to ask the transplant center any questions you have. Before deciding whether to donate, you should understand all aspects of the donation process, including any risks and benefits. Be completely honest with the transplant team about your feelings, concerns, and fears about being a donor. Your consent to become a donor is completely voluntary, and you should never feel pressured. You have the right to delay or stop the donation process at any time. The reasons for your decision will be kept confidential by the transplant team.